It’s time I came clean. I have an addiction. I’ve had it for a long time now, and to be frank I have no desire to quit. That’s right, I’m addicted to brownies. Everyone loves cupcakes, and that’s fine. I’m partial to a red velvet when executed well, and I’d never turn down a Hummingbird black bottom. But nothing touches a brownie. These dense, fudgy nuggets of chocolate goodness can’t be beat in my book. Brownies are my go-to haute bake. They brighten birthdays, make co-workers happy, and what fixes a bad day better than brownie batter?! I have a few ‘tried and tested’ favourite recipes, including Nigel Slater, Nigella Lawson and Alice Medrich. However, these epic raspberry and white chocolate brownies are based on a recipe from the flawless Ina Garten, aka the Barefoot Contessa. 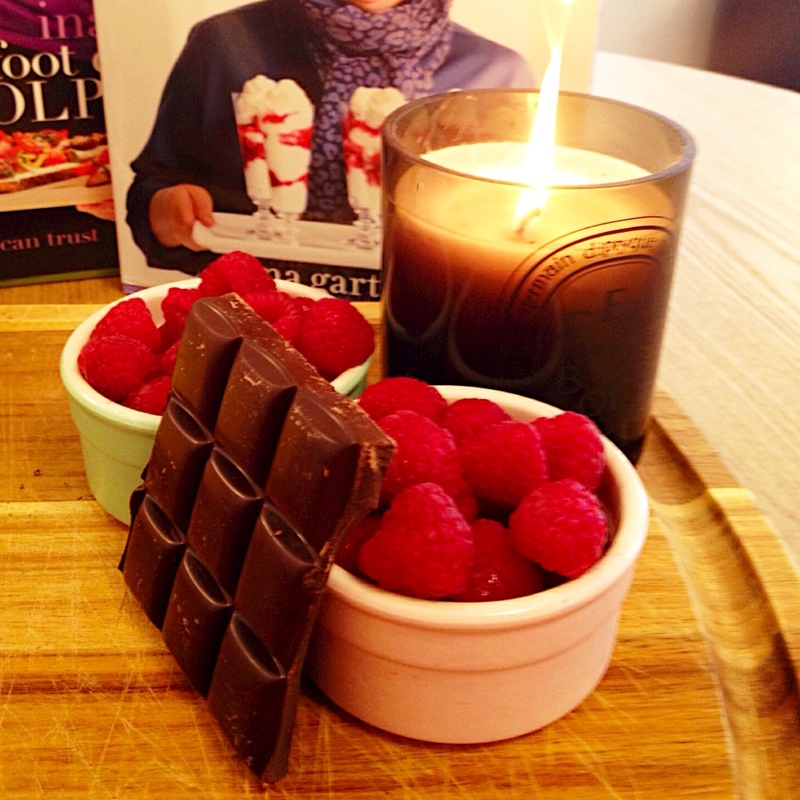 You can find the original recipe, albeit without the raspberries and white chocolate, in her cookbook. The one flag is that you’ll need American style measuring cups. These are easy to find, cheap to buy and necessary if, like me, you have lots of baking cookbooks from American authors. Makes approximately 20 brownies. These will keep for a good 3-4 days stored in an airtight container or wrapped in foil; they never last that long though. Preheat your oven to 350 degrees Fahrenheit (175 degrees Celsius) and lightly butter a 12 x 18 x 1-inch baking sheet. I cover the pan with baking paper and let it hang over the sides slightly as I find it makes it much easier to get the baked brownies out. Melt the butter and dark chocolate in a heatproof bowl over a pan of simmering water, stirring occasionally as needed. 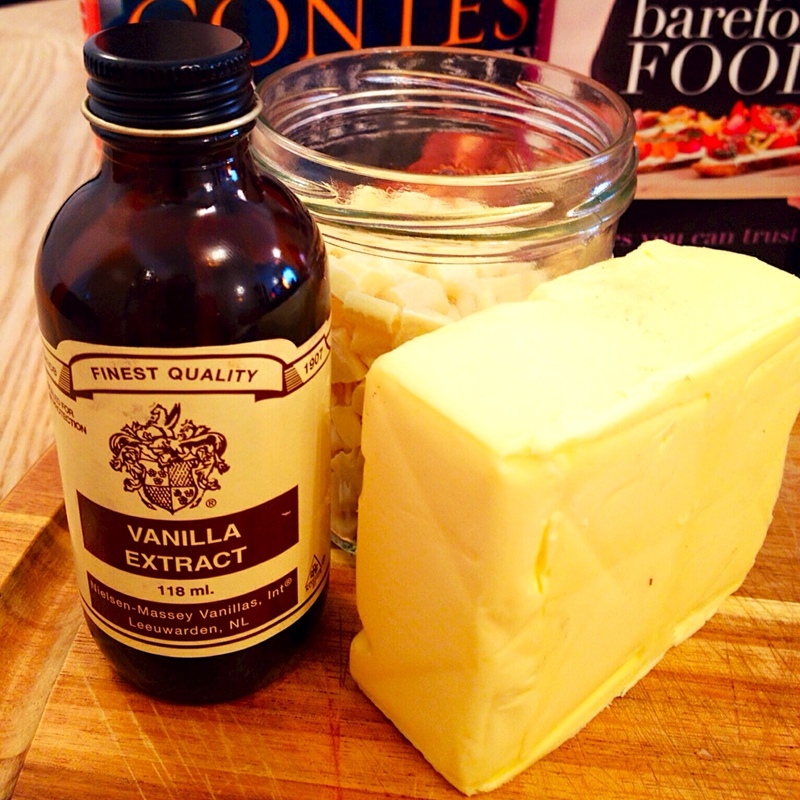 Whilst that cools down, mix the eggs, vanilla extract and sugar in a large bowl until just combined. 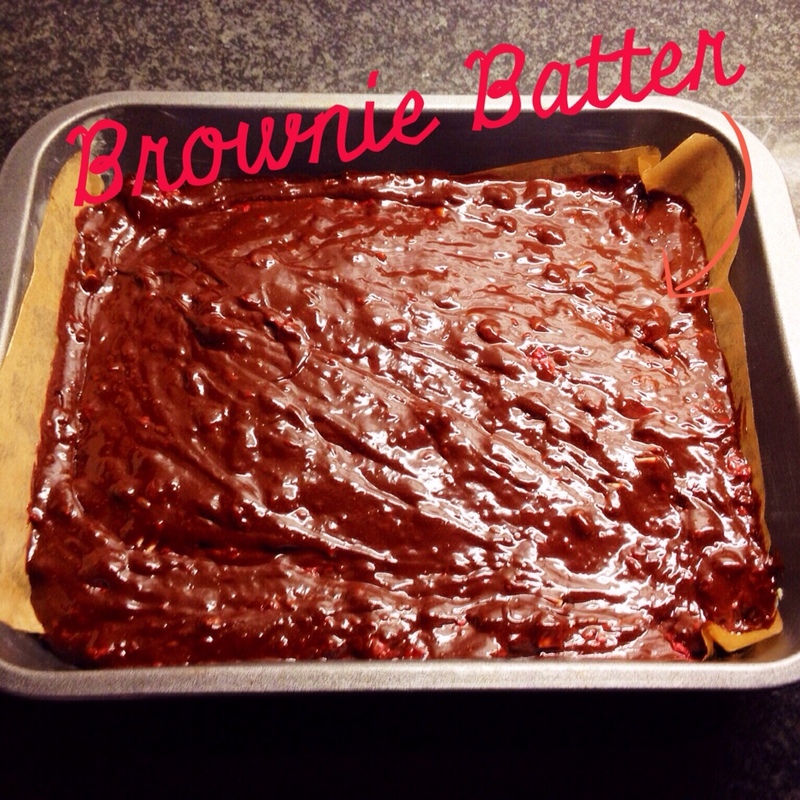 Don’t overbeat – we’re making brownies, not a sponge. Stir the warm chocolate mixture into the egg mixture and allow to cool to room temperature. Grab another medium sized bowl and sift 1 cup of the flour with the baking powder and salt. Stir that into the cooled chocolate mixture. Finally, give the raspberries and white chocolate chunks a good shake in the 1/4 cup of flour, then add them to the chocolate batter. By coating them in flour first it means they’re less likely to drop to the bottom of your brownies. Pour your glossy brown batter into the baking sheet. Place the brownies on the middle shelf of your oven and bake for 20 minutes, then open the oven (don’t be scared, I told you we are not making genoise here) and gently tap the baking sheet against the oven shelf to get rid of any air between between the pan and the batter. Bake for another 15 minutes, until a toothpick or wooden skewer comes out clean. It’s worth checking from time to time as an overcooked brownie is a sad thing. Take the brownies out of the oven and let them cool down completely before you cut them. Yep this means you have to leave them alone for a few hours. Sorry. 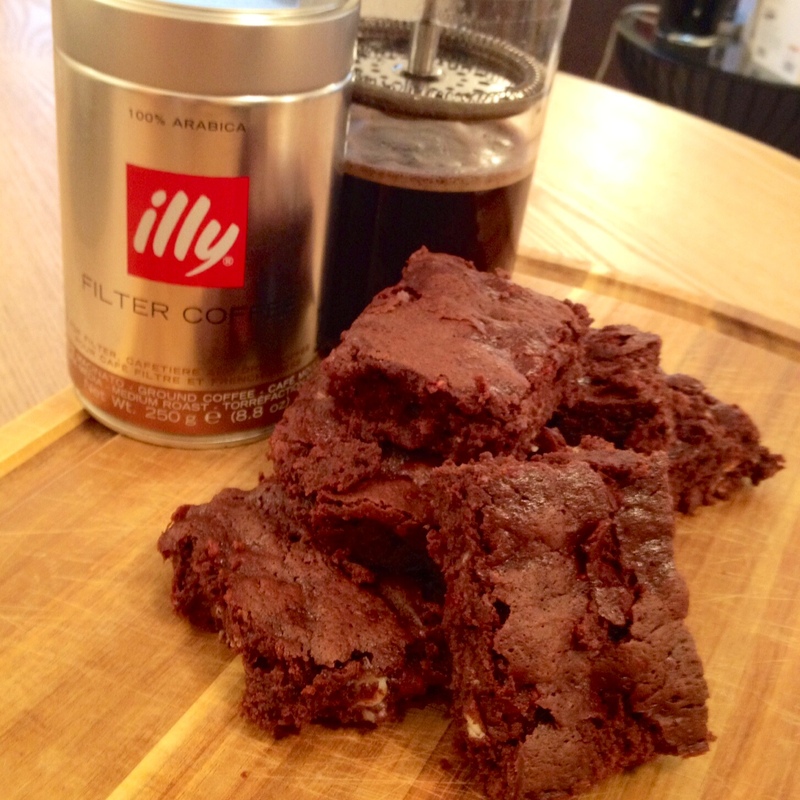 When they’ve been cooled n’ cut, make yourself a nice cup of coffee, grab a brownie chunk and have a well deserved treat. Yum. Thanks for sharing .. I’ll be busy baking tonight. Thanks Jerome! We hope you enjoy. Great calorie count .. but who cares, YOLO !